This is étude No. 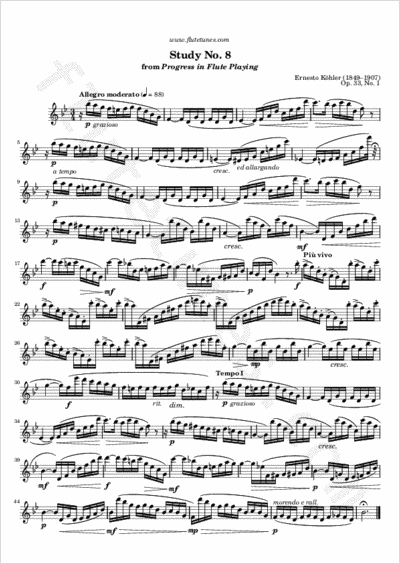 8 from the first book of Ernesto Köhler's Progress in Flute Playing. It is in ABA form, and features a stormy central section marked “più vivo”, which is Italian for “more lively”.